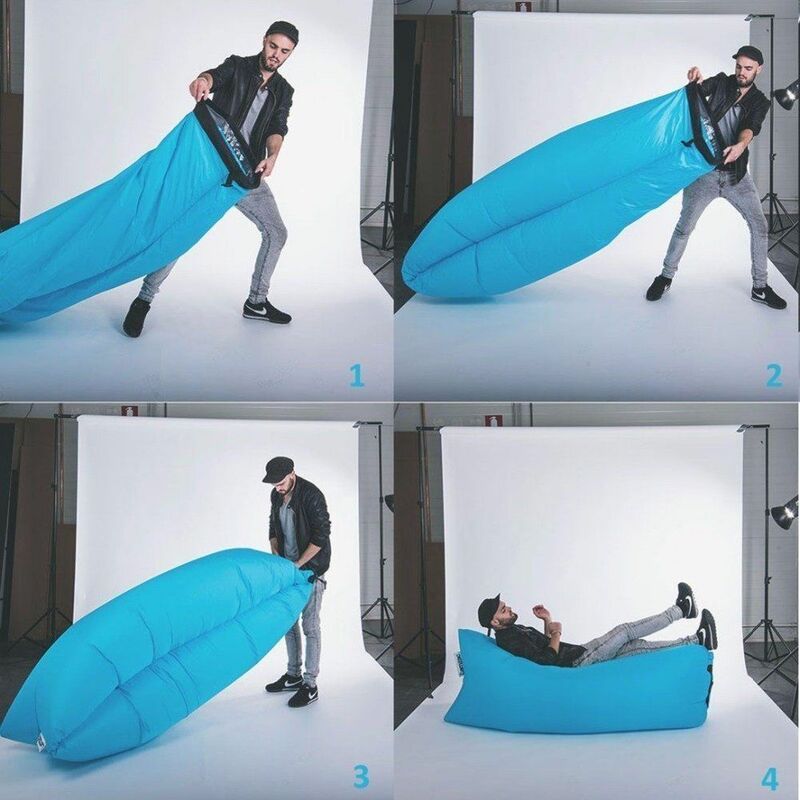 Stylish and inflatable sleeping bag. Suitable for hangout. with prominent branding. Made of high quality 210D nylon ,durable and waterproof material. It is portable and light weight ,with a carrying bag, convenient to take anywhere. It can be used both indoors and outdoors, on cement, grass, sand, cobblestone - any relatively flat type of ground without sharp objects. 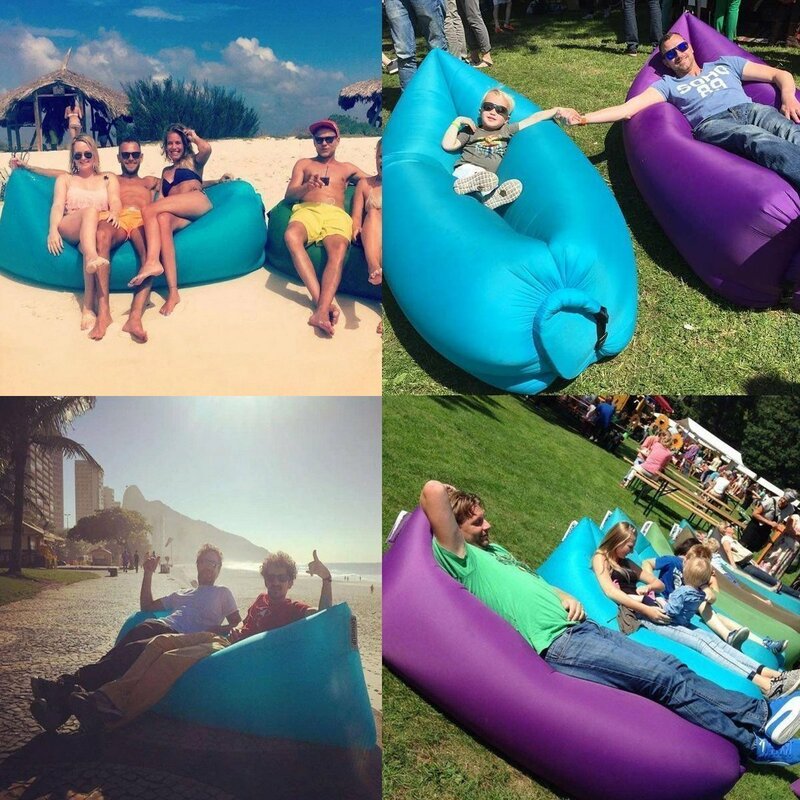 It even floats in the water, so it can be used as a great pool float or raft! Once inflated, it could work for 5-8 hours longer than the other air lounges and support a total weight of 440lbs comfortably.